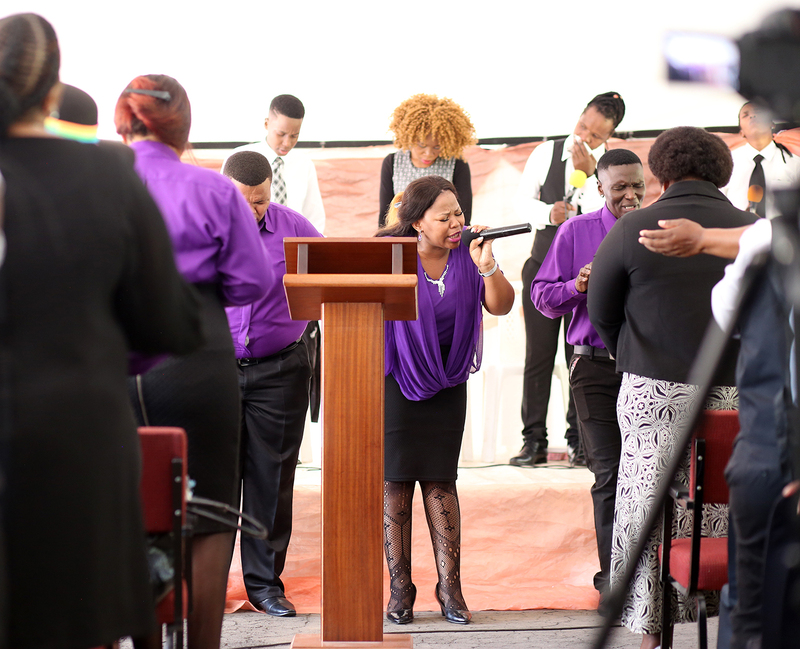 Victory Ministries Church International (VMCI) held another successful annual three-day Easter Convention. Marianhill, founded by Abbot Francis is popularly known for its Roman Catholic presence was the town of choice for VMCI’s 2016 Easter weekend camp. The church, which has been consistent in growth, now boasts seven pastors in its stable. 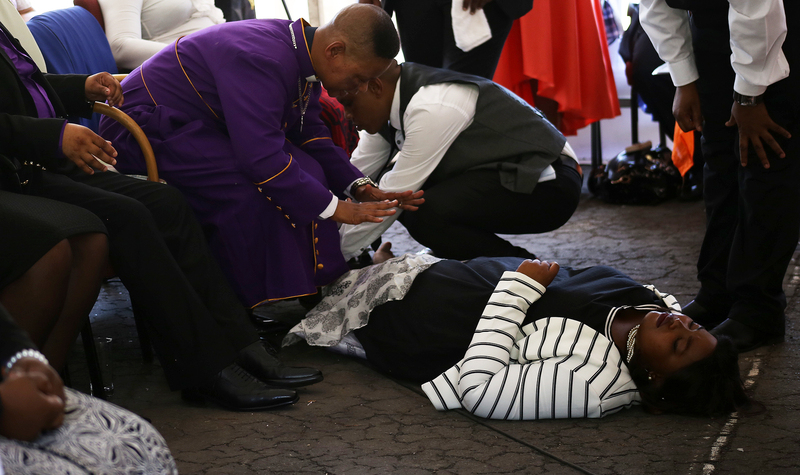 They hail from different South African provinces and cities including Johannesburg, Port Elizabeth and Pietermaritzburg and are still led by Apostle Zungu. Pastor Ngwane, Pastor Dlamini, Pastor Zulu, Pastor Sinqe, Pastor Khanyile, Pastor Mazibuko, and Pastor Nonxuba each had a slot to present the seven procedural passages on the first session of Good Friday. The scriptures that kept the congregation hyped and revived are Luke 23 verse 43, John 19 verse 26, Mathew 27 verse 46, John 19 verse 28 and Luke 23 verse 46. This is the inaugural Easter without the presence of Prophetess Magesh Zungu, the first lady of VMCI who passed away in December 2015, after an illness. Showing a consistent united front, Apostle Zungu, his mother in law and children Wandile and Zenande displayed strong character. The church has invested their faith into one of the priority points highlighted during the convention, which is the importance of giving a tithe as dictated by the word of God. Giving an offering is seen as key to uplifting the different branches of the church. Although this year’s venue came with time restrictions, the programme remained largely unchanged, with its regular three sessions. Many of the congregants from different various places arrived a few hours before the service. After being allocated rooms, they freshened up and many kept to their usual plan of wearing different outfits for each session. The venue at Tre Fontane Lodge didn’t come with a hall and a marquee was setup to be a home for the church services. The speakers and preachers kept the congregants in gear and uplifted, while new additions in the choir and worship team came with potent Holy Spirit and talent. The last word of God was delivered by one of the new additions. Pastor Nonxuba’s sermon was based on the scriptures of First Samuel chapter 15 verses 22 &23. Speaking in Xhosa, Nonxuba used rib-tickling humour while encouraging congregants to listen to and obey the word of God and the Holy Spirit when it directs in life. 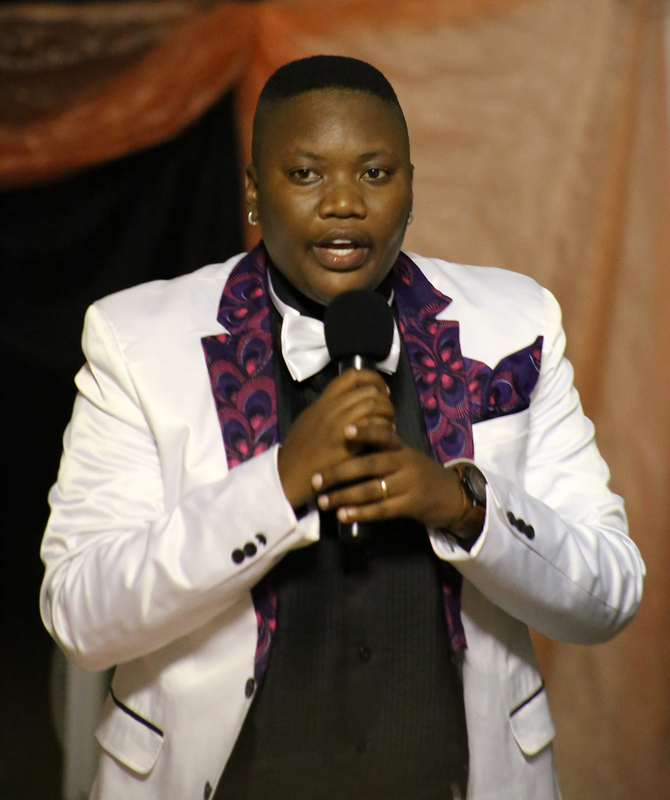 “When God puts you through a fire, the length of time you are kept in there will determine which gold karat you will be when you emerge,” Maureen Majola from VMCI Soweto said this to congregants while delivering the word of encouragement. She was speaking during the first session on March 26th. “When you walk down the street people will see you glittering in Gold,” Majola elaborated further before blessing the church with her well-delivered poem. The first service of Holy Saturday followed a baptism session held earlier in the morning. After enjoying some breakfast consisting of eggs, sausages, cheese, tomatoes, cereal and juice to wash it all down, congregants went to their rooms to prepare for the service. As expected, it was clear that people put a lot of effort picking the outfits worn. Amadwala walked tall in their stilettos, wedges, pencil skirts and formal dresses, while Intsika looked formal in their blazers, chinos and ties. 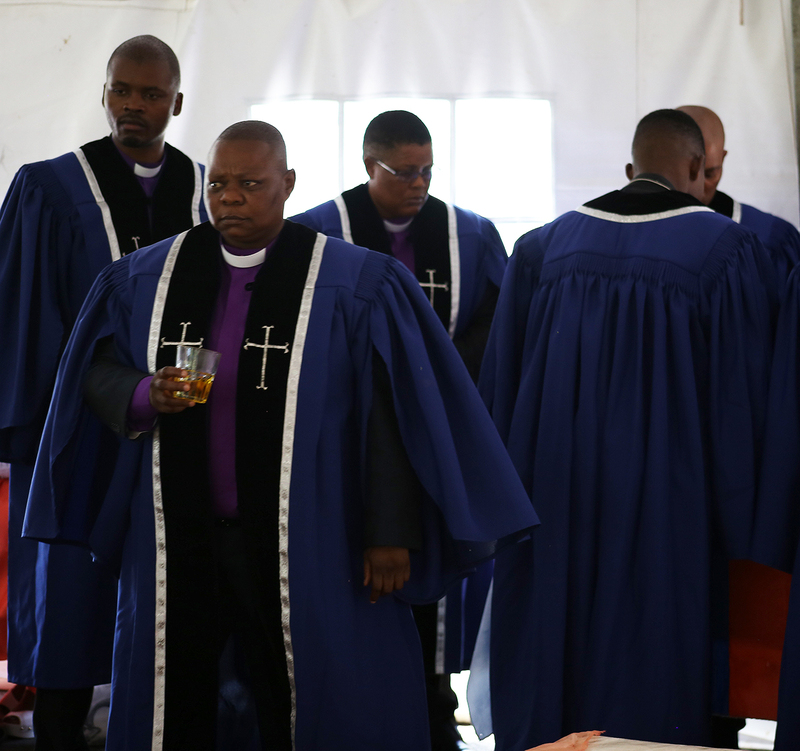 Temperatures in Marianhill hill were high as the sun shined bright; the ushers had their hands full keeping the congregants hydrated with ice water. The worship team, was a merge comprising of members from different branches, they diversified the talent that kept churchgoers on their feet, praising the Lord. Mrs Mazibuko, the First Lady from Soweto used James chapter 1 verse 6 to help worshippers to open their hearts and minds before coming forward to give their offering. Pastor Mazibuko was aided by the book of Genesis to remind people “It is never too late for God, he is always on time.” Speaking in the usual story telling manner, Mazibuko explained that, “the blood of Jesus has heard our cries.” The pastor emphasised the need for congregants to continue doing well, because rewards are waiting.” Often using personal experience to better illustrate points, Mazibuko shared a testimony about finding a job because of faith adopted during an Easter service many years ago. Before closing the first session, the MC Mr Royo requested for those who identify as Intsika to come to the front for a special memorial item for the late Prophetess Magesh Zungu. They sang and danced to “Xa ndiyekelelwa nguwe” which was inspired by a personal memory Royo shared with the Prophetess. Some members of Inkanyiso listened to the second service from inside one of the dining halls at Tre Fontane. Inkanyiso crew solved technical glitches, while finalising the setup for a documentary screening featuring Magesh. Before having supper, church members were requested to converge for the special premier. The doccie produced over a three-year period, induced a roller coaster of emotions, as many found themselves laughing and crying at the same time. Although it is not too obvious, it is still evident that VMCI church still mourns the loss of their mother. Another lesson about the significance of having faith was the burning issue in Pastor Sinqe’s sermon, taken from Matthew chapter 21 verses 14 and 18. The worship and intercession segments got the house warmed up before the pastors and apostle Zungu made a grand entrance on Sunday March 27 2016. Menzi Nxumalo then took the ropes doing a spectacular job as MC, keeping the congregants hyped up with his praise song selection. 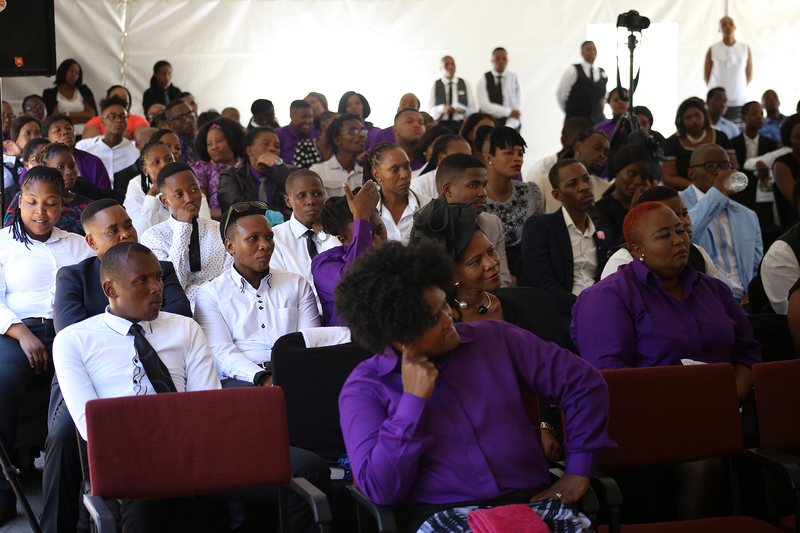 There was uniformity because of the all black, black & purple as well as black and white worn for the last service. 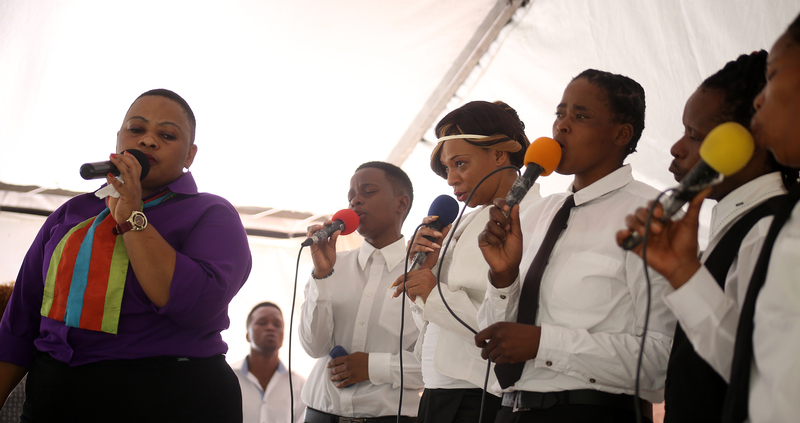 Shortly after entering the place of worship, apostle Zungu flanked by his seven pastors performed a musical item, with Deacon Ndosi as the conductor. While the congregants were still revved up, VMCI dance group took to the stage with their beautiful and well-choreographed moves, while playing the song Siliwelile I Jordan. The next item on the programme was the word of encouragement by Soni, Okuhle, Wandile and Sboniso. Wandile then came back with an analogy about the need of Amadwala to be like apples, “even after eating an apple the roots are thrown away, allowing for nature and the rain to produce 10 other apples.” This prompted a response from Okuhle who said Intsika need to be like cement, and harden when poured with water. The Holy Spirit descended following the highly charged encouragement segment and the house burst into prayer. Pastor Zulu gave a short sermon in preparation for the offering. The intercessors were slotted in the programme and they gave rendition of Alikho Igam’ emagameni, which was one of Magesh Zungu’s favourite songs. Apostle Zungu shared the last word of God for the 2016 VMCI Easter convention. He started by distributing certificates to the newly ordained pastors. Zungu seized the chance to turn the handing out session into a light-hearted moment while reading out the feminine names of the pastors. 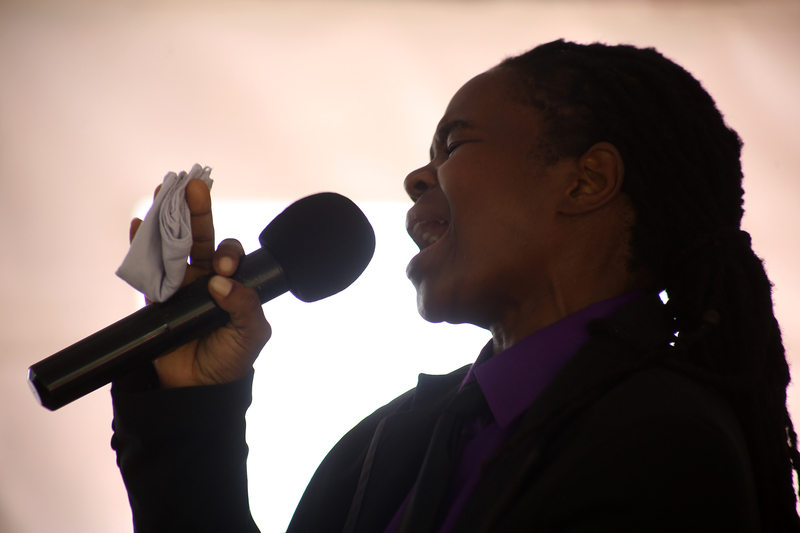 Zungu did not distance himself from the comics and asked congregants if they know his English name which starts with an M. The apostle then diverted from the jokes and spoke about how families of LGBTI community members and gender non-conforming individuals dress their children in clothes that they did not wear while alive, making an example of how families of butch lesbians will dress them in women’s clothing when they have passed away. Zungu then pledged his support in ensuring that families continue to recognise their children and relative’s choices even when they are dead. This entry was posted in Another Approach Is Possible, Archived memories, Creating awareness, Power of the Voice, Preachers, South Africa, Uncategorized, We Are You, We Care, We Still Can with/out Resources, Writing is a Right and tagged 2016 VMCI Easters, Article by Lerato Dumse, Collaborations, Congregants, Dressed code, Education, Experience, Expression, Faith, Feelings, Friendships, God Fearing people, Human beings, human rights, Inkanyiso media, Intsika ne dwala, Life, Living..., Love, Photography, Praising songs, Prayers, Relationships, Religion, Respect, Revival, Scriptures, Sermons, Seven Commandments, Smartly dressed, Spiritual activists, Verses, Victory Ministries Church International (VMCI), Visual activism, Visual history, VMCI, VMCI Pastors, Voices, We love photography, Words. Bookmark the permalink.